Mid and post-credits scenes have become a recurring staple in the Marvel Cinematic Universe, and Thor: Ragnarok continued the tradition. The third installment of Marvel’s Thor film franchise saw Chris Hemsworth reprise his role as the hammer-wielding superhero — without a hammer — held hostage on a futuristic planet controlled by an eccentric hedonist played by Jeff Goldblum. Well, it turns out Thor has a long-lost sister, Hela (Cate Blanchett), who was apparently locked away because she was one-dimensionally super-evil but to keep the plot moving, she, of course, escapes. She’s obviously angry and casts Thor to another dimension before taking over the throne in Asgard. In bizarro Goldblum’s planet, Thor is forced to fight his fellow Avenger, Hulk. Lots of quips, CGI-enabled destruction and mayhem ensue, and the writers wrap it all up in pretty little bows as the credits start rolling. The mid-credits scene shows Loki visit Thor in his quarters as both debate whether relocating to Earth is a smart idea after their celestial home of Asgard home is destroyed by their vengeful sister. As they look out to the vast expanse of the universe in a shimmer of hope, a large spaceship appears in front of theirs presumably foreshadowing the arrival of Thanos and the events of Avengers: Infinity War. The post-credits scene shows the manipulative Grandmaster convince the Sakaarian rebels that he played a pivotal role in their revolution reasoning that they needed someone to rise against. “It’s a tie!” the ruler of Sakaar jokingly declares. That said, the film’s director Taika Waititi revealed he had shot two post-credits scenes with different fates for the Grandmaster. In an interview with Collider, the director talks of an alternate post-credit scene. 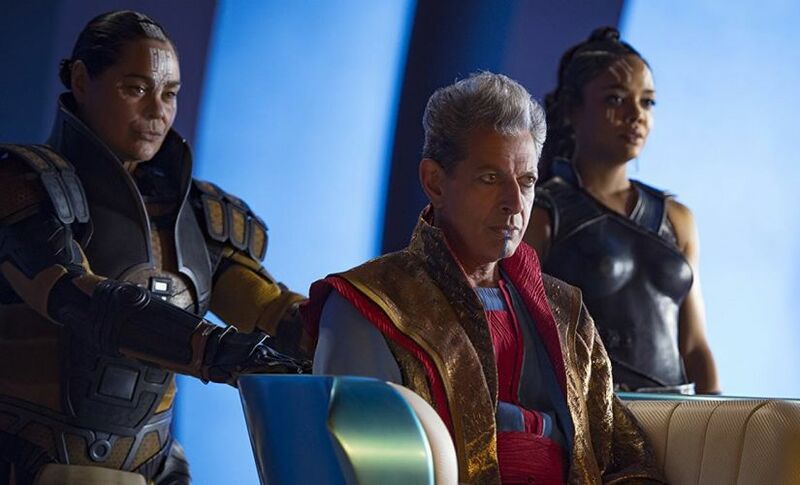 While the alternate ending would not have been all that relevant to the MCU storyline, it does leave you hoping for a separate story arc of the Grandmaster’s adventures on Earth. Or perhaps, a Netflix show?